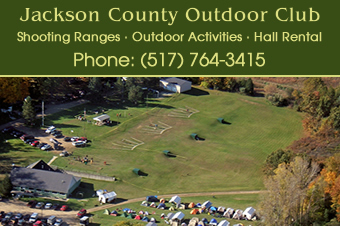 Jackson County Outdoor Club is for anyone who enjoys nature and wildlife in the great outdoors. Our property includes wooded areas, open fields, a clubhouse and access to Ackerson Lake for enjoyment. JCOC members can participate in hunting, fishing, camping, canoeing, hiking, backpacking, boating, bicycling, skiing, nature photography, skin diving and many other activities that involve our forests, fields and waterways.